Piano moving is sometimes known as the friendship killer. Most people that you know will want to help you with your move, but you will be hard pressed to find out that your best friend is not terribly fond of lifting objects that are over 1,000 pounds. So when you are hiring help, where do you look for new Piano Movers? Fort Lauderdale, Miami, Sunrise? Where do you stop? How about all three? Top Notch Movers provides their piano movers service for every area in South Florida. Packing – We have a complex packing system designed to ensure the maximum amount of safety for both the piano and our movers. We first analyze all of the jutted out sections of the piano that could encounter bumps and abrasions from the move, and we give them extra padding via cushions and cardboard. Next, we add a simple layer of cardboard over all to make sure that there is protection from the wind, the sun, and general environmental influence. Moving – Next comes the moving, we have several workers who can move the piano no problem. We are smart and time our breaks through the cunning use of communication. 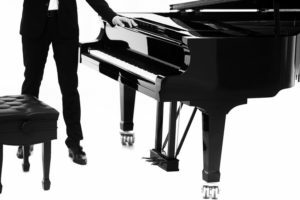 Our ability to communicate mixed with our strength and driving times, allow us to be one of the fastest piano movers in South Florida. Repeat – After that, the process simply repeats itself. We then unpack the piano and move it to wherever you see fit within your new home. We will cover the cleaning up process and more through this, and you can just focus on relaxing in your new home! Top Notch Movers is a professional and experienced piano moving company, and we have your back. 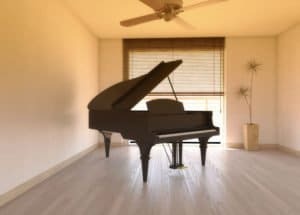 As Fort Lauderdale piano movers, we love offering our clients exceptional customer service that is unparalleled by other moving companies. Our ultimate goal is customer satisfaction and if you are not satisfied, neither are we. Call us today for a free estimate and quote!